Since 2010 the Peruvian government opened up the market for the trains to Machu Picchu as before this was a monopoly by one company called Peru Rail. Since 2010 a second company joined under the name Inca Rail (what’s in a name). 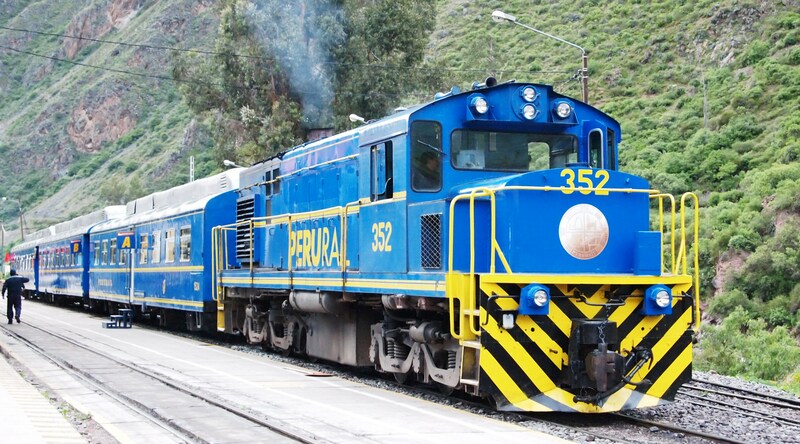 Peru Rail is therefore the long established company with most frequencies and history traveling this route. Nevertheless with the introduction of Inca Rail to the market their frequencies and levels of trains have increased over the last couple of years, allowing them to compete on the same level with Peru Rail. This competition was necessary in order to get prices to an acceptable level and to assure that the company provide certain quality on their services. Therefore at this time it is safe to say that both companies offer very similar services at similar prices. Both companies have three levels of trains an economy level, a superior level and a luxury level. All train types from both companies have restrooms on board. Peru Rail; the longest stating train company in Peru and partially owner of the concession for the railroad to Machu Picchu. They have for long dominated the market and did not allow other companies to enter the market till 2010 when Inca Rail was launched. Even though they had to allow Inca Rail more frequencies as well as the use of the Poroy Station, Peru Rail still has most train frequencies and times. They operate four types of trains with departures from all three stations; The local train; this train is only available for Peruvians or residents (foreigners will not be able to buy these discounted tickets). This service is obligatory service for Peruvians only allowing them cheaper access to Machu Picchu. This train is relatively basic and does not have the rooftop windows. Expedition Train; the economy class train and the cheapest train from Peru Rail. Before this train was called the Backpacker Train before marketers renamed it Expedition Train. This is a comfortable train with oversized windows and rooftop windows allowing you to enjoy the scenery to the fullest. The train has a snack service on board but does not have any beverages or snacks included with the service. Vistadome Train; this is the superior level train from Peru Rail and the together with the Expedition train the train with most frequencies. Slightly more expensive this train provides the same types of carriages with the rooftop windows as the Expedition train but with less seats per wagon allowing for more legroom and wider seats. The train has air conditioning and includes a snack and nonalcoholic beverages. On the return journey a local dance & fashion show are presented for the traveler’s entertainment. Hiram Bingham Luxury Train; the expensive Hiram Bingham Train by Peru Rail is operated together with the Belmond Luxury Hotel chain and provides the most luxurious way to travel to Machu Picchu. Traveling in an original Pullman Train decorated with classic wooden touches, plush seating and tables with nightlights traveling in this train will take you back to the old days of luxury train journeys. Named several times as one of the best train experiences in the world the service on this train considers even the smallest details to make the journey unforgettable. The journey to Machu Picchu starts with a welcome cocktail and includes an extensive brunch on board. The return journey includes a 4 course dinner including all beverages. The train also has a bar carriage with an open bar with live music throughout the journey and viewing carriage on the end of the train. Inca Rail; Inca Rail started their operations in 2010 and after the first few years only operating a handful of services from Ollantaytambo Station they are now a fully operational from all train stations and several types and time schedules available. Inca Rail also operates 4 types of services to and from Machu Picchu. Voyager Train; the Voyager Train is the economy level train from Inca Rail. Plush seats, panoramic and rooftop windows, included nonalcoholic beverages and a snack on board are some of the perks of this train. 360º Train; before this service was called the Executive Train but nowadays operates under the name 360º Train. The 360º name reflects the oversize panoramic windows and rooftop windows allowing to fully appreciate the beautiful surroundings.This air conditioned train also has an Outdoor observatory wagon and of course includes a snack and hot and cold beverages with the service. First Class Train; the First Class Train by Inca Rail is their luxury version to travel to Machu Picchu, providing an exclusive and top end travel experience. Large panoramic and rooftop windows, bar with complimentary drinks, a gourmet brunch or dinner and an Observatory lounge with outdoor balcony are some of the special features this train provides. Private Train; Inca Rail also offers the opportunity to charter an entire luxury wagon for your train journey to Machu Picchu. Services such as large panoramic and rooftop windows, bar with complimentary drinks, a gourmet brunch or dinner and an Observatory lounge with outdoor balcony are some of the special features this exclusive and private train provides. The wagon can accommodate up to 8 people. Train tickets; Tickets for both train companies can be purchased online on their respective websites; www.perurail.com or www.incarail.com or at their offices in Lima (Larcomar & Airport) and Cusco (main square, airport and Plaza Recojios).